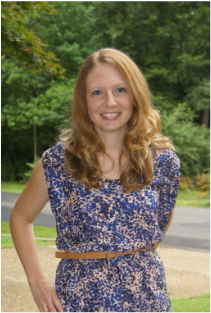 Amber DeVore, RD, CSSD, CLT is a Registered Dietitian with focus areas in Sports Nutrition, Food Sensitivities, Weight Management, and Childhood Nutrition. In 2012 her son had a reaction to walnuts and just a week later a second, more serious reaction to sunflower seeds that sent her son to the hospital and required several doses of epinephrine. Amber quickly realized that having a child with food allergies impacts every aspect of your life. Eager to find books to help her son understand his food allergies, Amber was disappointed with many of the options. While nursing her daughter in the middle of the night, she had the idea to write a book that would help children and their families understand the practical and social implications of having food allergies. My Food Allergies is beautifully illustrated, lighthearted, interactive story that encourages thoughtful discussion between you and your child about their allergies and how to stay safe and prevent allergic reactions.